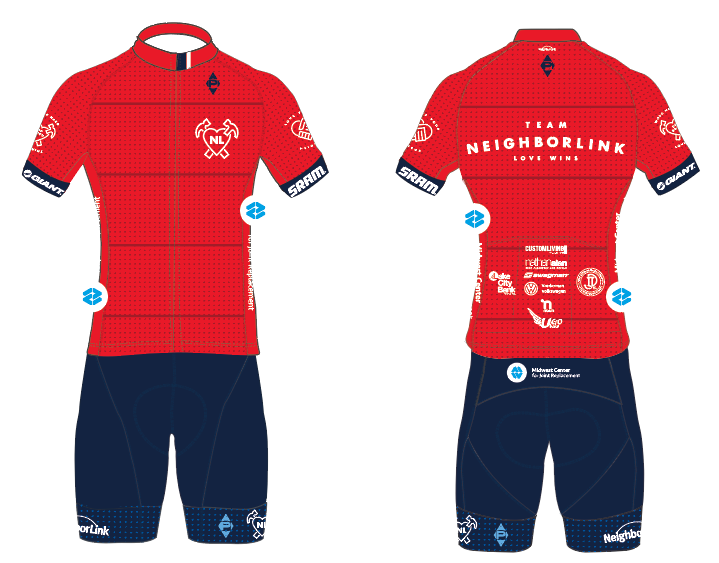 2017 Team NeighborLink Gear Order Time Has Come! 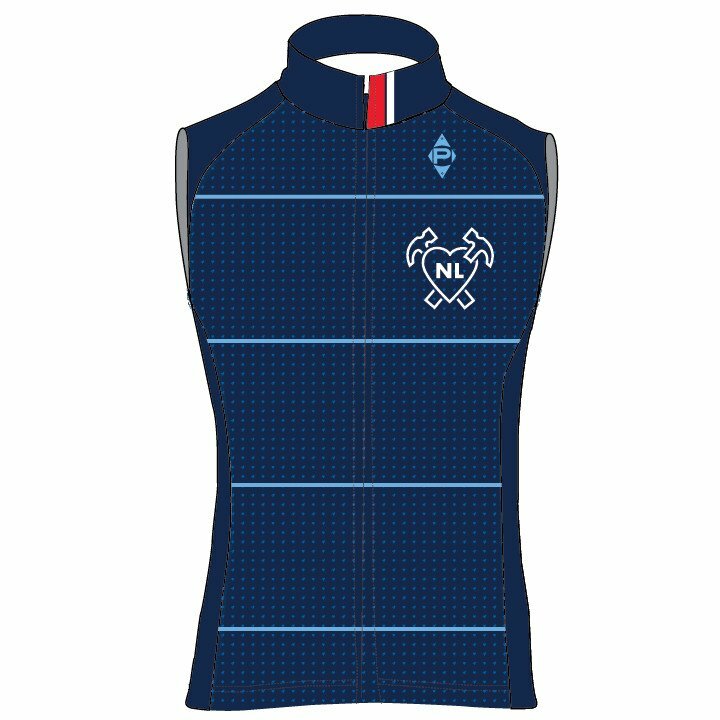 We're excited to be working with Panache Cyclewear in 2017 for our cycling kits. We believe that their quality is better than what we've offered before, and their simplistic approach to their offerings as well as their online store should make for an overall better experience for everyone. 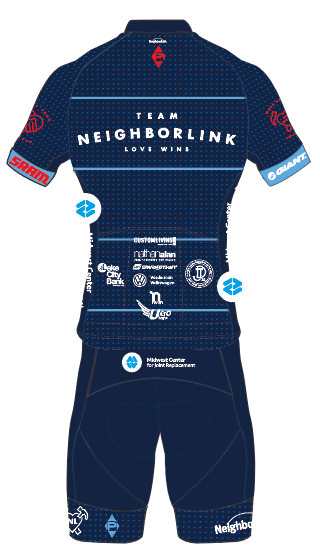 I'm confident that you will be glad you ordered a kit from Team NeighborLink this year. Plus, our designer, Matt Plett, did a fantastic job making them look fantastic. Order Details Below: Please read over carefully as some things have changed from years past. New for this year is the use of Panache's website to do all online ordering. You will place your pre-order at this website, pay for your items then, and they will ship them directly to your home once they're finished. Much easier for everyone and should reduce any potential issues. 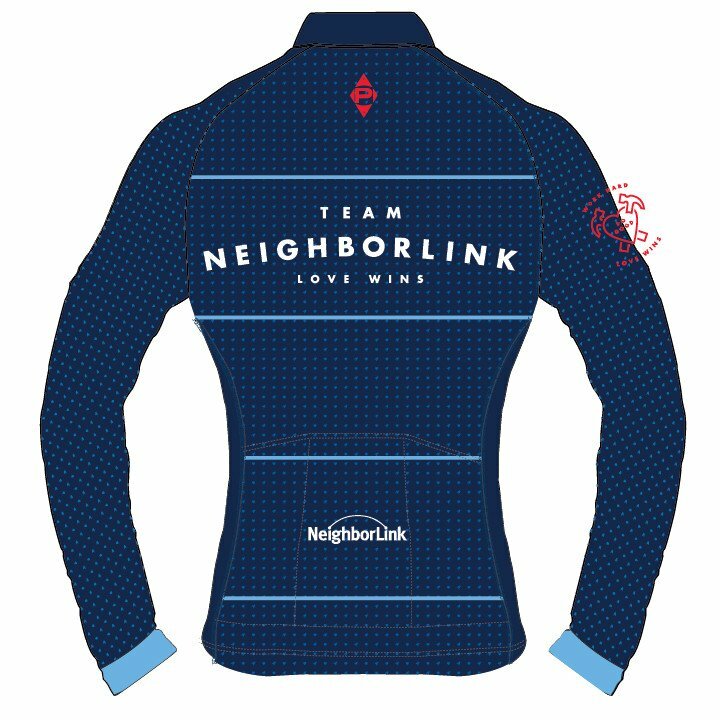 Each item online includes a $10 donation to NeighborLink, which is consistent with the way we've always done our kits. It helps us fund the our team operations and fund projects throughout the year. The pricing is higher than our entry level kit in years past, but you're getting a higher quality kit this year and is consistent if not better than the higher end kits over half of our orders last year were ordering. This kit is an upgrade for the basic kit buyer, and a value for those who bought higher end kits in years past. We think it's going to be a great kit. Initially, men will have access to all 4 jersey colors and women will have the navy or red jersey options. This is based on feedback, interest, and projected volume. Ladies, if those aren't the colors you want and there is consensus, we'll open the other colors up for ordering. The is only one bib design that works for all jersey colors. There is only bib styles available for men & women. No shorts. Vests and Longsleeve jerseys are unisex and women should size down one size. Skinsuits - Update - We're going to have skinsuits in the online shop over the weekend or on Monday. We just need to get 5 and I currently have 3 committed. We're supposed to meet a 10 jersey per color minimum. There is a bit of flexibility here, but we need to be close. So, if you want a white jersey and we have less than 5 requested, we will ask you to choose a different color. Panache can't refund your money, but they can change your order to a different color. If you have questions on volume, please contact us or Danny at Panache. His email is in our web store. Panache is working on a new ordering/manufacturing process that may change this requirement yet in 2017 and we'll keep you posted for future orders. We have fantastic sponsors that are supporting TNL heavily this year and ultimately making our Ambassador Program happen, which you can find out more info on here. In an effort to honor their commitment to us, we're asking anyone committed or considering being an Ambassador this season to purchase at least the full navy kit. We'll ask you to wear this kit as your primary TNL kit for 2017. If you plan on racing competitively (road, CX, or MTB) with us, but aren't committing to the Ambassador Program, we also ask that you buy these kits as we'll want to be as unified at events as possible, and their funding is also covering event operations that all members receive benefits from. Let me know if you have questions on this request. Ambassadors - Per our program this year, please go ahead and purchase your kits on your own. As you start to meet your fundraising goals, TNL will reimburse you for your expenses up to the $500 athlete budget we've agreed to under the program. Panache's Sizing Chart is located online here. Find your favorite jersey's online sizing charge and compare the numbers. Champion System (previous TNL provider) sizing charts are all located here. Overall, those that have tried Panache's gear on says it runs about a half size smaller and a bit more snug than Champion System. Overall, not many people are changing their size from Champion, so the differences are minimal. We have a complete Panache Size Kit at the NL office through early next week. We are planning to make ONE more order from Champion System at the same time for those of you that need Triathlon gear, want our baggy off-road gear, want to order a pair of shorts or bibs that match your old TNL jersey, want a jacket, or anything you don't see on the Panache site that we've offered in the past. If this is you, please contact us directly with what you want. You can use the current TNL Gear Shop for information on what all is available. It will be last year's designs for all items as we have not updated that source with new designs. If you MUST have the new designs in a triathlon suit or jacket, expect to pay more for a one off items from Panache. Once this initial order is done, you won't be able to get any other items from Champion System. Team NeighborLink will be purchasing some extra items for both men and women to have in inventory. We will likely limit it to just the Navy kits, but when items come in, there should be some flexibility to swap some sizes on a first come, first served basis. We will likely stock two of each main size for men and at least one size run for the ladies. We will place another order in June and potentially one additional order in the fall. In June, we will have more fall skinsuits for cyclocross and potentially a jacket if there is demand. Stay tuned or let us know what you'd like to see at that time. Please let me know what other questions you may have as you think through your gear choices. I can be reached through the contact us form or via phone at 260.710.7611. 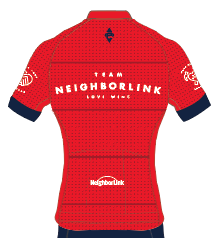 Thank you for considering riding and supporting Team NeighborLink this season. Andrew Hoffman. Work Hard. Do Good. Love Wins.